Regaining her consciousness, nurse Meredith struggles to open her eyes as the effects of the tranquilizer begin to fade. “What? Where am I?” she says to no one in particular. She can hear the soft music playing in the background and as the steel blade slowly strokes her cheek, she understands what game is being played. “No Benny! 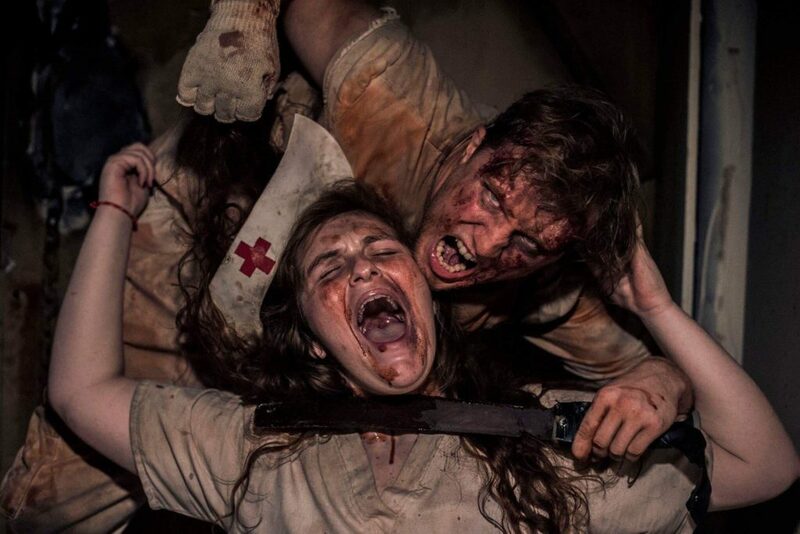 Noooo!” echoes through the Asylum as Benny smiles and watches nurse Meredith take a gasping breath. 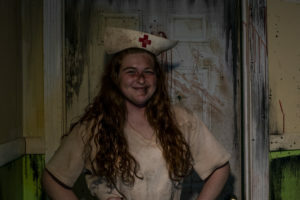 Since Abigail’s first visit to RISE Haunted House eight years ago, she desperately wanted to audition to be a scare actor. Because there’s an age requirement on acting roles at RISE, she had to wait until she was 18 to try out. 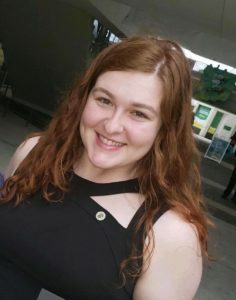 As I was talking with Nevelle, one of the owners at RISE, he told me if he would have known how great an actress Abigail was, he would have allowed her to audition at 16. Although this past season was her first year of acting, she’s definitely made her mark. 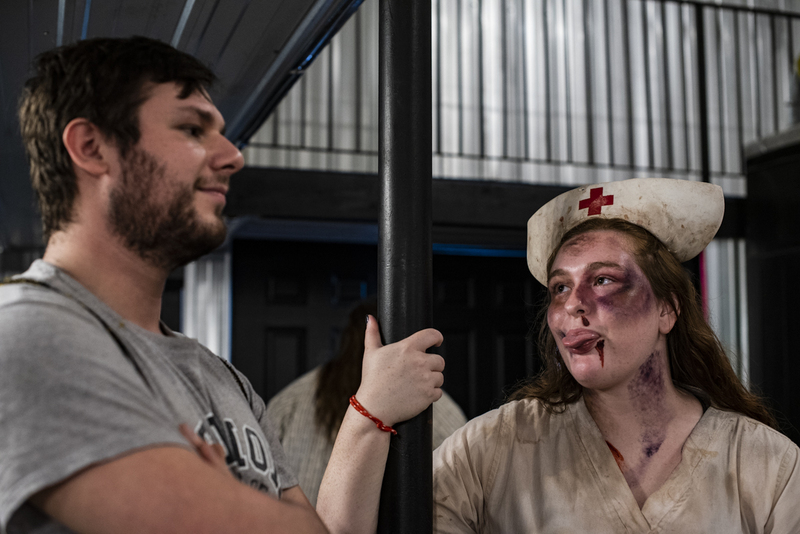 If you visited RISE, you would have most likely seen Abigail in the role of Nurse Meredith, the sweet and innocent nurse in the final scene of the Risewell Mental Asylum. The character plays opposite Benny and Oliver and without giving too much away, she has to deliver a dramatic exit, as is required by a haunt actor, delivered over and over again – for 15 nights. 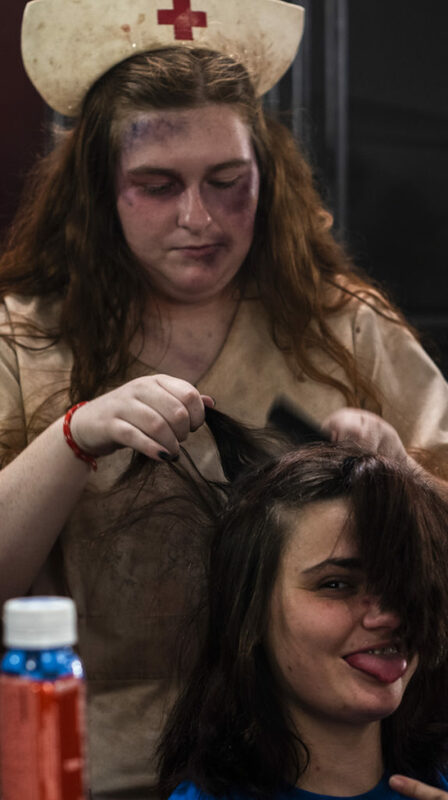 It takes a lot of mental fortitude to put so much into the character and play it perfectly 100 plus times a night said Taylor, Stage Manager at RISE Haunted House. 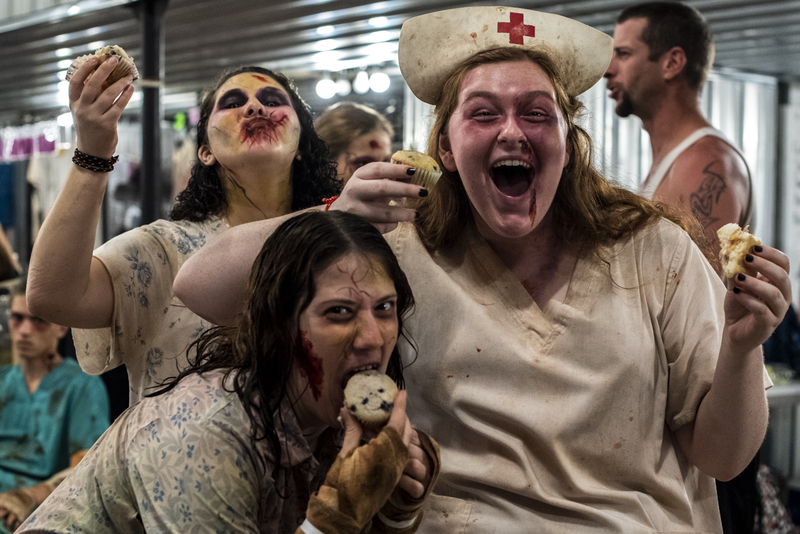 Having attended one of RISE’s Zombie Boot Camp sessions during the summer, Abigail had a glimpse into all the fun she was about to be a part of. She was put through the paces of scare acting, delivering lines, and improv. While doing so, she turned the heads of everyone in attendance with her impressive delivery and quick-thinking. Taylor remembered Abigail from the boot camp. “After the boot camp I knew I wanted to cast Abigail in the Asylum but I didn’t have an open role. When one came available, it was settled.” Scenes in the asylum are quite different than in the main Haunted House. Actors are face to face with guests for quite a while longer, sometimes over 2 minutes, and add to that they have to perform their roles to perfection. Being cast in the asylum in her first year was quite an accomplishment. 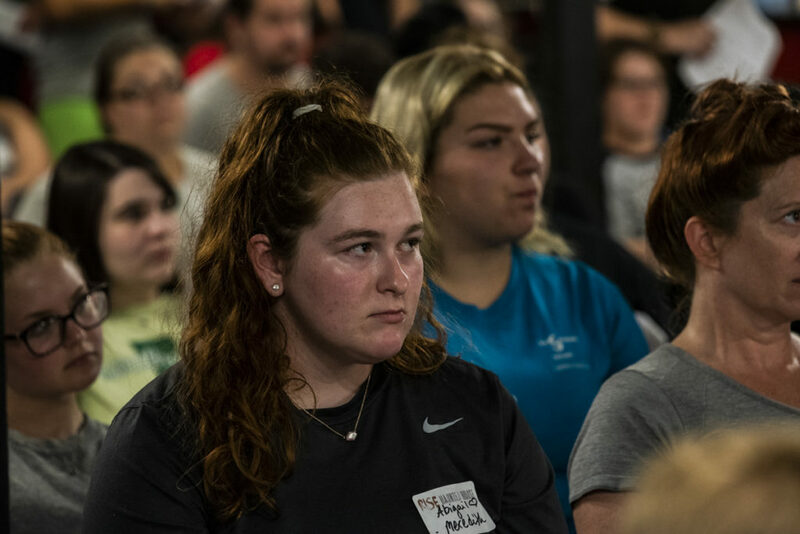 Although demanding and a lot of work, Abigail says her first year at RISE was fun and inspiring and encourages anyone who’s interested in acting to come to RISE’s boot camps and auditions, follow the advice of the trainers, and do their best. 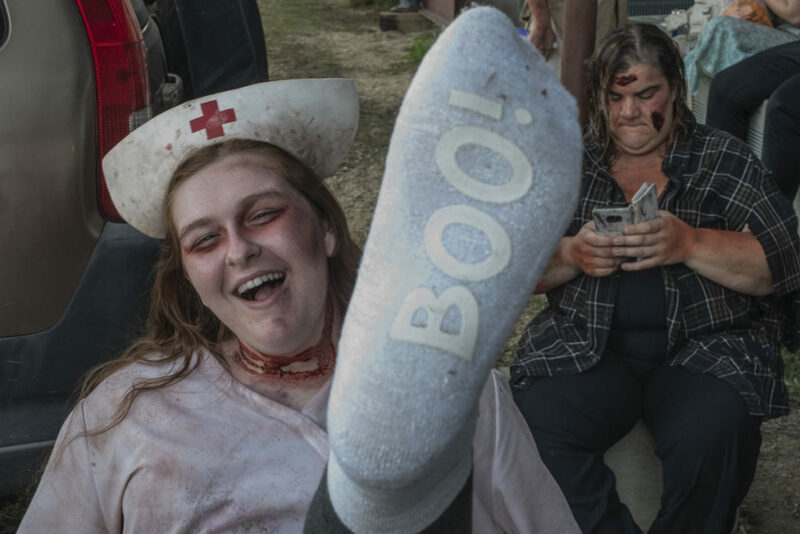 One of Louisiana’s scariest Dark Attractions is just minutes from Downtown Hammond, 45 Minutes from Baton Rouge and 40 minutes from the New Orleans Metro area. 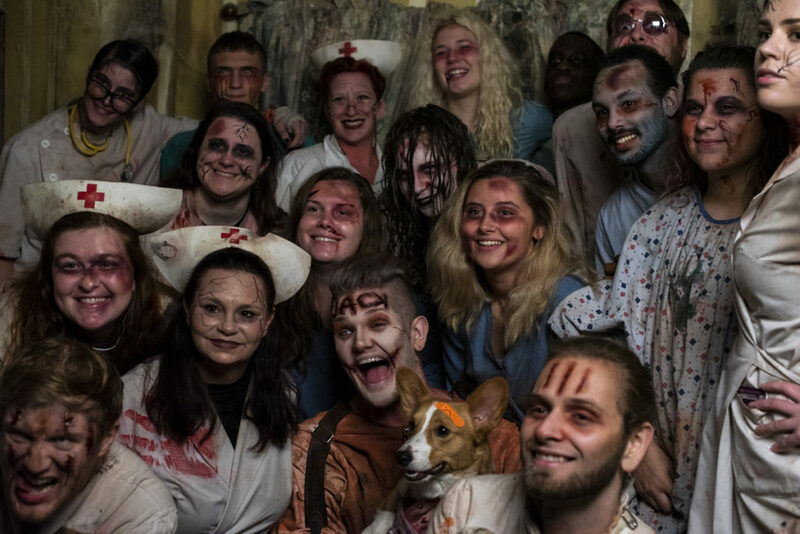 RISE Haunted House features three world-class attractions that will scare and entertain you...guaranteed. © 2018 by RISE Haunted House.